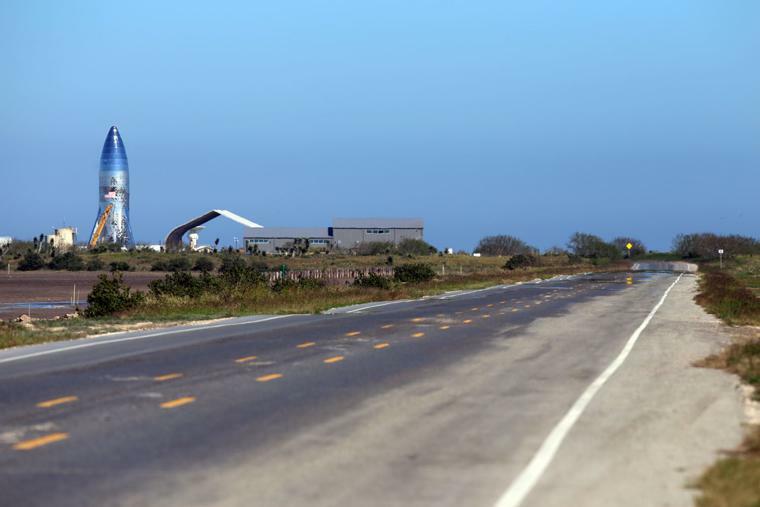 The Texas Parks and Wildlife Department confirmed Monday that U.S. Customs and Border Protection and the Department of Homeland Security have sought access to land it owns near the SpaceX South Texas Launch site at Boca Chica Beach. TPWD Press Office Manager Steve Lightfoot said it had received the request for access to the property and that TPWD officials have been working with the U.S. Army Corp of Engineers in Fort Worth on modifications to the draft right-of-entry document. “So, yes we have responded, but the final terms are not yet complete,” Lightfoot said via email. The properties the government is seeking access to for surveying is in the same area where SpaceX is currently working on its Starship Hopper prototype, which was recently damaged after 50-mph wind gusts toppled the upper section over after the craft’s mooring blocks broke. CBP and DHS have also requested access to SpaceX’s South Texas Launch site. In a previous statement, SpaceX Spokesman James Gleeson said SpaceX is evaluating that request. Gleeson didn’t immediately respond to an inquiry seeking an update sent early Monday afternoon. SpaceX owns nearly 99 acres in this area and TPWD owns approximately 36 acres, according to the Cameron County Appraisal District. The private space company and TPWD faced off after the department raised concerns in 2012 that rocket launches from Boca Chica Beach may impact federally listed species through direct impact noise, heat, vibration, fencing and hazardous material spills, the Texas Tribune reported at the time. While TPWD and SpaceX confirmed that CBP and DHS sought access to those properties for the purposes of surveying relating to border security, CBP and DHS have not made any public statements about new border wall in Cameron County. An inquiry sent to CBP and DHS during the partial government shutdown has still not been answered as federal press officers were furloughed and Monday was their first day back on the job. The 35-day partial shutdown that led to those furloughs was a direct result of Democrats refusing to include $5.7 billion for new border wall demanded by President Donald Trump in funding legislation. Last Friday, Trump signed a temporary funding bill that did not include any funding for a border wall to keep the government open for three weeks while Republicans and Democrats negotiate border security funding. In March 2018, Trump signed a bill that included $1.3 billion for 25 miles of border wall in Hidalgo County and another eight miles in Starr County. After signing that bill, avoiding a government shutdown, Trump said he’d never sign another like it again. Throughout 2018, United States Army Corps of Engineers surveyors have been spotted throughout Hidalgo County. A USACE spokesperson did not immediately return an email Monday asking about its activities on TPWD and SpaceX’s properties in Cameron County. The only publicly announced border wall projects in Cameron County include CBP’s plans to build up to 11 gates in gaps in the border wall, which have already been funded. The border wall ends south of Highway 4 before the soft Border Patrol Checkpoint. Highway 4 ends at Boca Chica Beach.